Time for you to help me choose a new laptop, Oppo. There are two contenders at near-enough the same price; ~$1000 USD. The requirements are a 14" form factor, quad-core CPU, at least a mobile-spec descrete graphics card, and Thunderbolt 3 support. Primary use is productivity while staying under 2 kg/4.5 lbs. 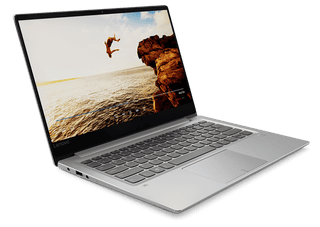 The first contender is the above Lenovo Ideapad 720s, with a quad-core Intel i7-8550U (U is quad-core now) and an Nvidia MX150. Storage and memory are a 128 M.2 PCIe SSD and 8 GB of RAM; both upgradable (supposedly). Positives are it being a brand-new unit, newest-generation GPU and CPU, and slightly smaller. It is also $200 cheaper. Negatives are a hampered Thunderbolt 3 port (2 PCIe lanes instead of 4), and half the ram of the other contender. That other contender is a scratch & dent (!) Dell Latitude 5480. It has a quad-core i7-7820HQ processor, an Nvidia 930M GPU, a 128 GB M.2 PCIe SSD, and 16 GB of RAM. It has a full 4 PCIe lane Thunderbolt 3 port, along with HDMI, VGA, and Ethernet ports. It is $200 more expensive, slightly larger, but the greatest negative is the scratch and dent uncertainty. It is warrantied, but who knows what damage it has recieved o_o. So Oppo, what say you?